The Wooden Chinese Dao Sword features a broad, single edged blade that widens at the belly before narrowing at the tip. The hilt widens as it moves away from the disc guard, which provides a secure grip for wielding the wooden sword. 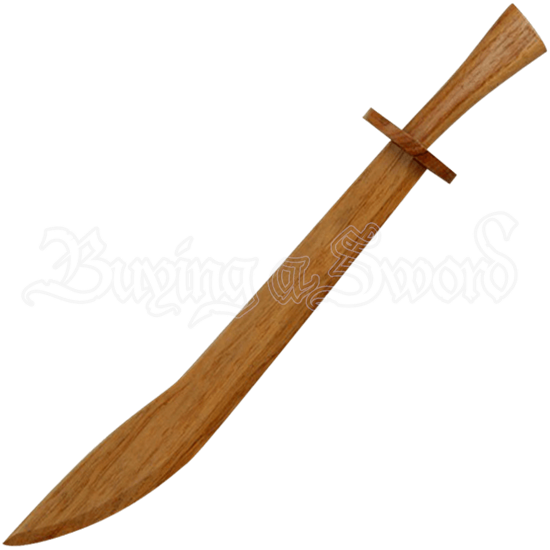 Displaying a natural woodgrain finish, this wooden practice sword is suitable for painting or embellishing to suit your personal style. 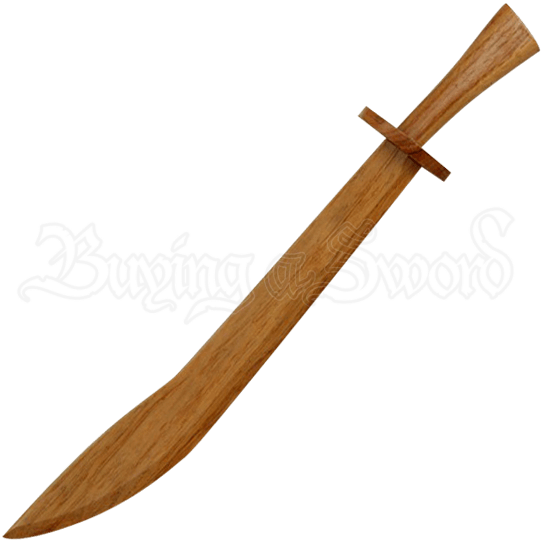 Perfect for cosplay ensembles, sparring, and theatrical productions, the Wooden Chinese Dao Sword is great for all ages.